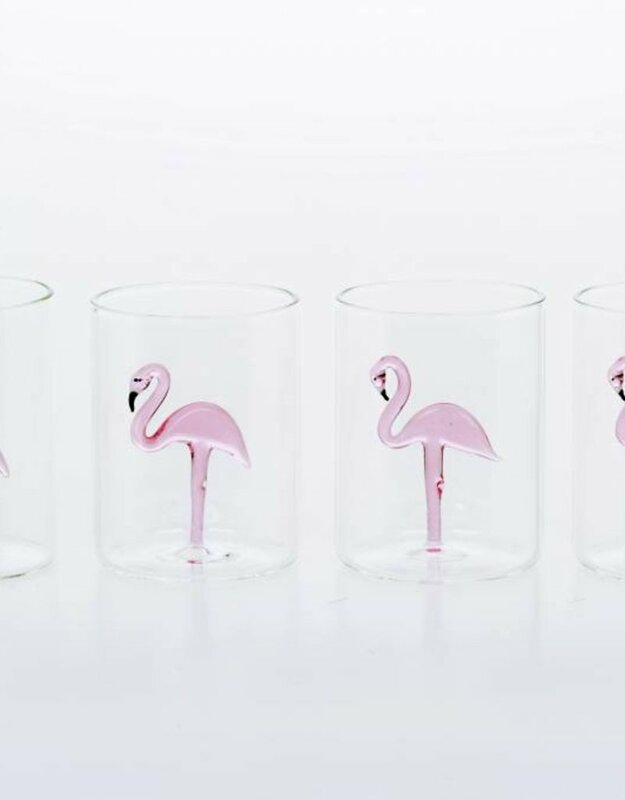 Set of 4 glasses in transparent glass with a small pink flamingo inside. 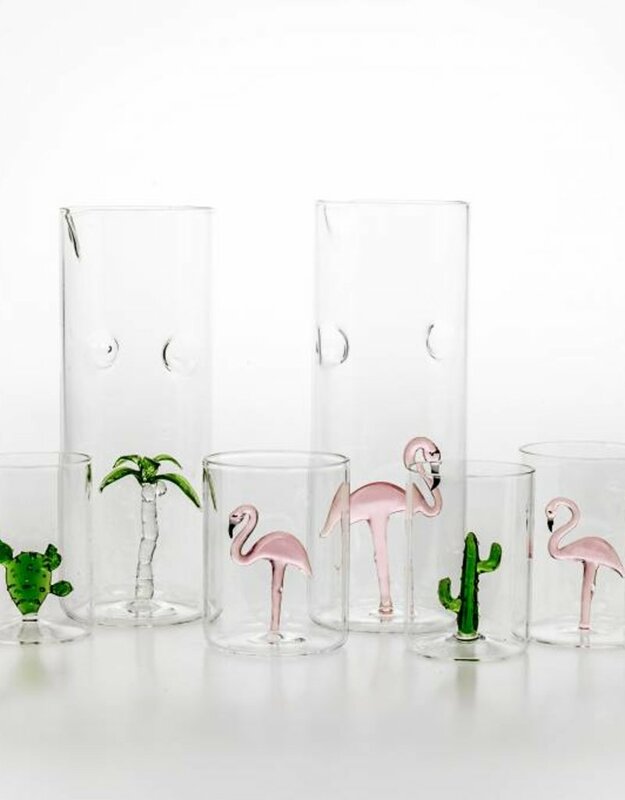 A collection completely Inspired by the world of nature, to bring home the atmosphere of a garden. 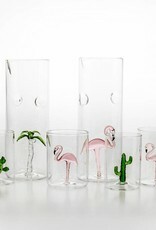 Objects, at the same time decorative and useful, beautiful to see and pleasant to be used. Fun yet classy. Handcrafted in Venice using traditional blowing technique. 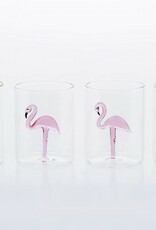 See matching Flamingo Jug C111.